As a means of celebrating World Landscape Architecture Month 2015, I have been crowdfunding my 2nd feature film: Hringvegur, a time-lapse circumnavigation of Iceland. A follow-up to my 2013 feature From Sea To Shining Sea, Hringvegur is also an experimental film, the record of an exploration, and the possibility of a gallery video installation. So what exactly does this have to do with landscape architecture? 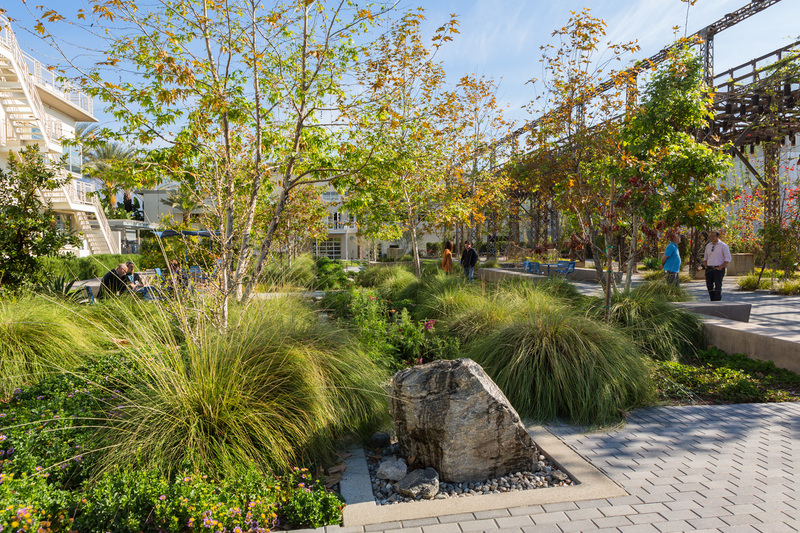 One of the most relevant examples in our portfolio is the award winning and internationally recognized Burbank Water and Power EcoCampus, the transformation of an industrial campus into a garden space with innovative stormwater treatment technologies. 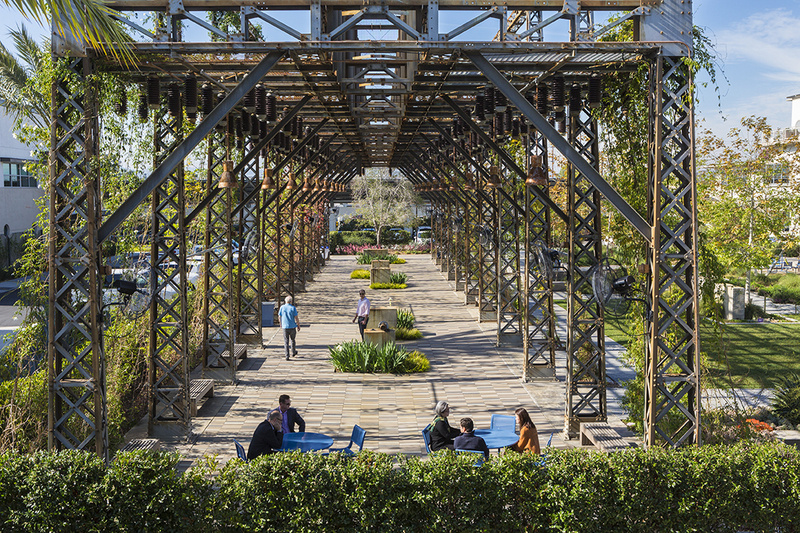 The EcoCampus fully expresses its place by means of a de-energized substation ruin that creates community via an employee courtyard; abandoned utility tunnels that allow for the installation of bioswales, stormwater infiltration and phytoremediation planters; existing crushed rock under the substation repurposed as planting mulch; Burbank’s distinctive geology and permeable soils allowing for increased infiltration and groundwater recharge; salvaged relics that allow for an artful juxtaposition within a re-created oak woodland landscape. This is how the EcoCampus expresses its place. Simply put, the EcoCampus could only be here, because it could not be anywhere else. This idea of dwelling on the idea of place (and site context) is prevalent in my film work as well, notable my triumvirate of Louisiana films: Scenic Highway as digging deep into the psyche of growing up in Baton Rouge; A Necessary Ruin as revealing how industrial ruins tell the story of the South Louisiana petrochemical landscape; and how the Phyllis Wheatley Elementary School could not occur anywhere but New Orleans. It’s about the place. Hringvegur, the project, is an exercise in revealing the nature of a place. In this case a foreign landscape that has been described as if “someone put the American West in a blender: California’s poetic central coast, the Nevada desert’s barren expanses, Alaska’s glaciers and Yellowstone’s geysers”. Aside from the off-quote line from The Player – that “Iceland is green and Greenland is ice” [sic] – I know little about the place. I have dubbed this genre of experimental film the land-lapse. It is about using video to immerse the viewer in a landscape to achieve an experiential quality. The use of time-lapse video compresses the journey into both a manageable length and allows the viewer to observe the dynamics of shifting landscapes. Finally an audio collage (wild sound, music, interviews, commentary) is added to provide a layer of cultural landscape interpretation. That’s the basic question of the Hringvegur project – and the land-lapse genre itself: How successfully can one be immersed in the landscape via a video medium, to actually feel as if you have been to Iceland? I believe that engaging in exercises such as this, hones our ability as landscape architects to put place into our projects.